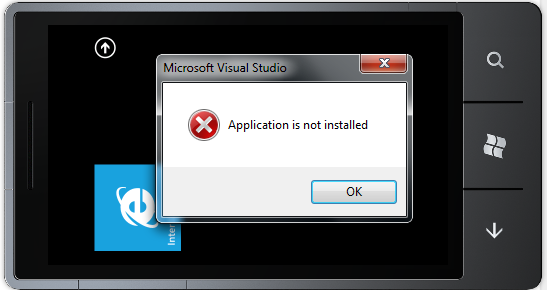 The problem occurs when you try to compile and run a Windows Phone 7 project, resulting in an alert saying “Application not installed”. There’s a good chance this started happening after you migrated the project, or perhaps pulled a copy from source control. The solution here is simple, though not immediately apparent. Change the “Solution platforms” drop list to “Windows Phone”. Re-run it, and the emulator will be able to run the app again. You don’t really need Eclipse, but it’s the environment you usually work in, then you get a bonus of avoiding a command line. This has been tested on Eclipse 3.6 Helios, but probably works on prior versions too. 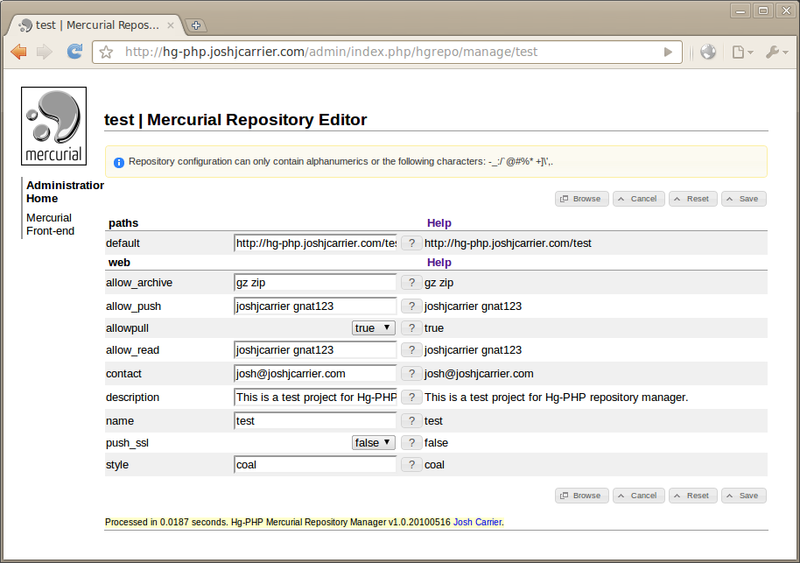 Formerly “Hg-PHP”, phpHgAdmin is the re-branded v1.1.x release of the Mercurial repository management project. This simple library for CodeIgniter makes rendering a page from a local DokuWiki installation as simple as loading a CI view. With the permission of Jérôme Jaglale over at Maestric.com, I brought over his rendering code and packaged it up for CI. The comments on his code’s release have also been taken into consideration. It should be compatible on any server hosting both a functioning CI and DW installation, and has been tested on CodeIgniter 1.7.2 + DokuWiki 2009-12-25c “Lemming” and PHP 5.2. 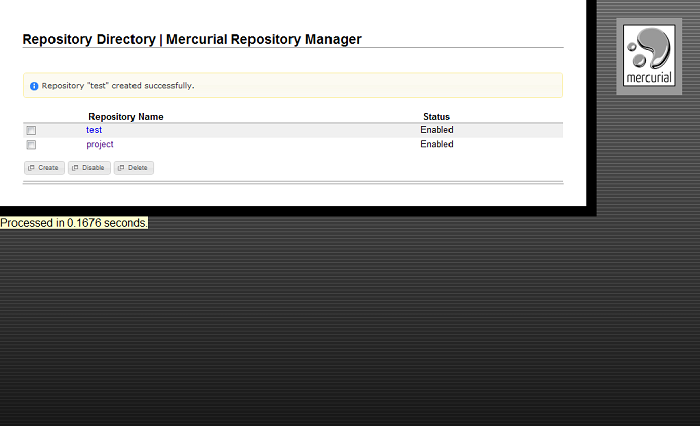 Installation is simple when performed in addition to my previous Mercurial shared server installation guide. and, could somebody please send me (josh@joshjcarrier.com) a copy of ResNet’s home page (www.resnet.ubc.ca) while you’re connected to ResNet? 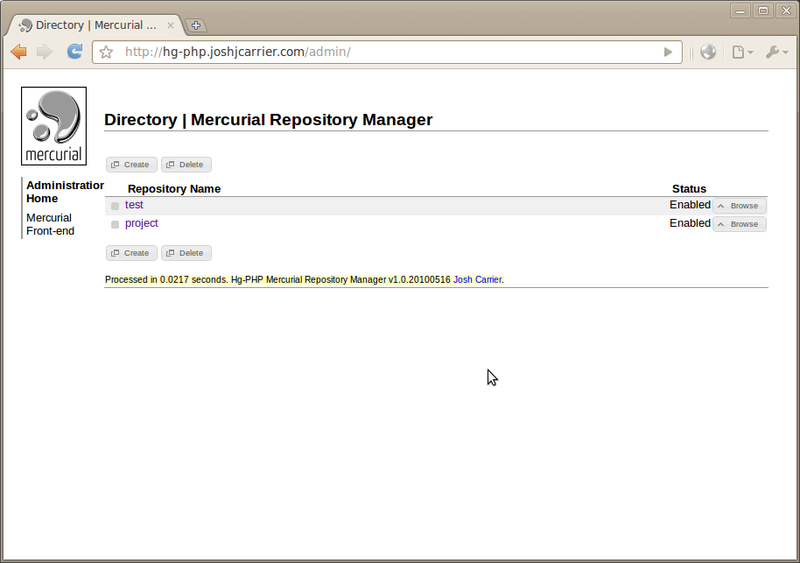 Latest RQMv2 is a Java Web Start application, http://update.joshjcarrier.com/rqm2 . So now that we have Mercurial repository hosting capabilities on a shared server, we’re going to want a better way to manage these repositories from the web. 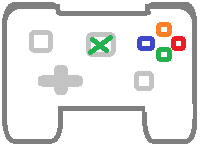 My solution is called Hg-PHP, which will allow basic functions (for now) such as repository create, disable/enable, delete, plus per-repository settings and access control. Also, source code will be always visible on this project. The public repository will be updated here. An installation post will be here once the basic features are complete. 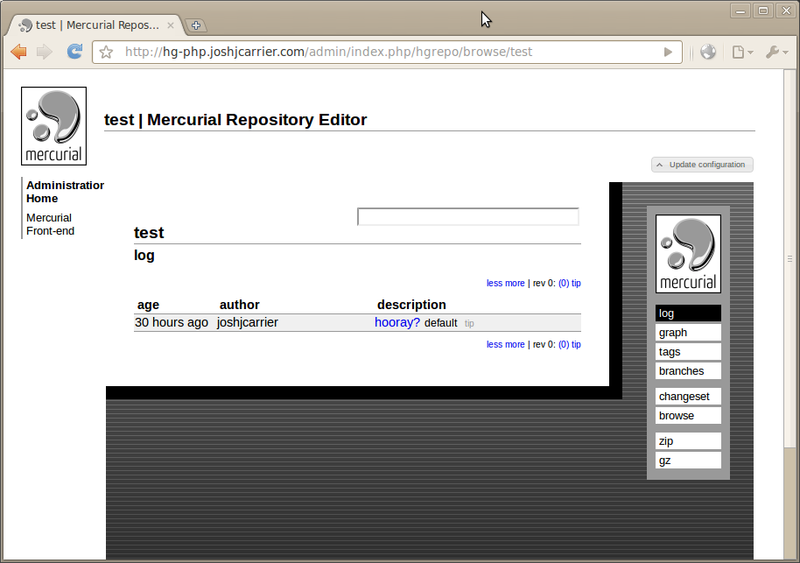 And if you’re wondering which web host supports the Hg installs, I test with JustHost.com’s shared server. Visit JustHost directly or support me via my referral link. I’m posting these instructions just in case you want to run your own Mercurial packages, or run your C/C++ binary on a shared hosting server which has the capability to execute but not compile. 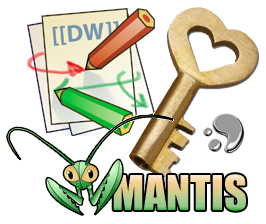 I’ve got three great pieces of software running on my shared host – Mantis Bug Tracker, DokuWiki content manager, and Mercurial source repository. Combined, they make quite a robust system to plan, manage, and develop with. Problem was, each had their own user account system, and the last thing I needed was to keep track of three more credentials. So the logical solution? Consolidate them. Accounts created with Mantis BT will now be instantly usable for log-in in DokuWiki, and registered for HTTP Basic Authentication with Mercurial. Want to do the same? Here’s what you’ll need.